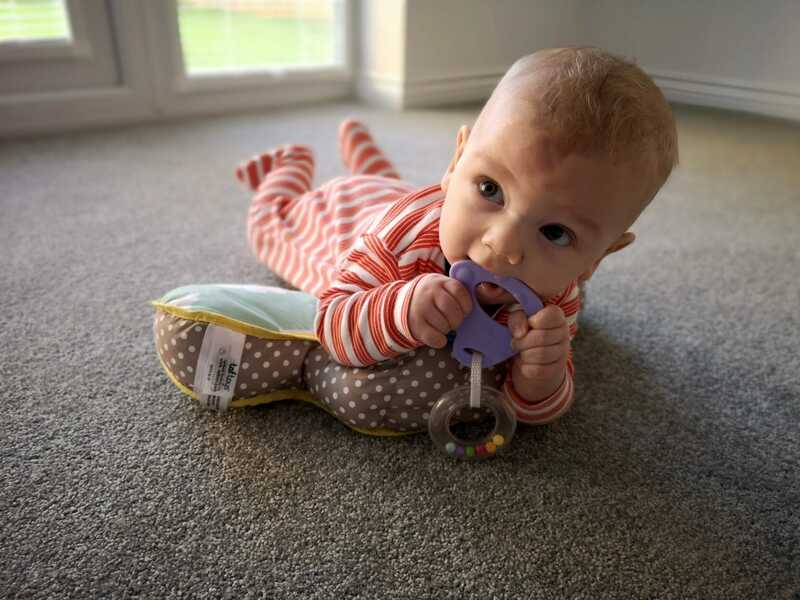 We have recently been working with the lovely Taf Toys who sent us a selection of their baby developmental toys which Hugo has been putting through their paces. Last month we were talking about the Musical Newborn Cosy Gym, but this month it’s all about the Developmental Pillow. 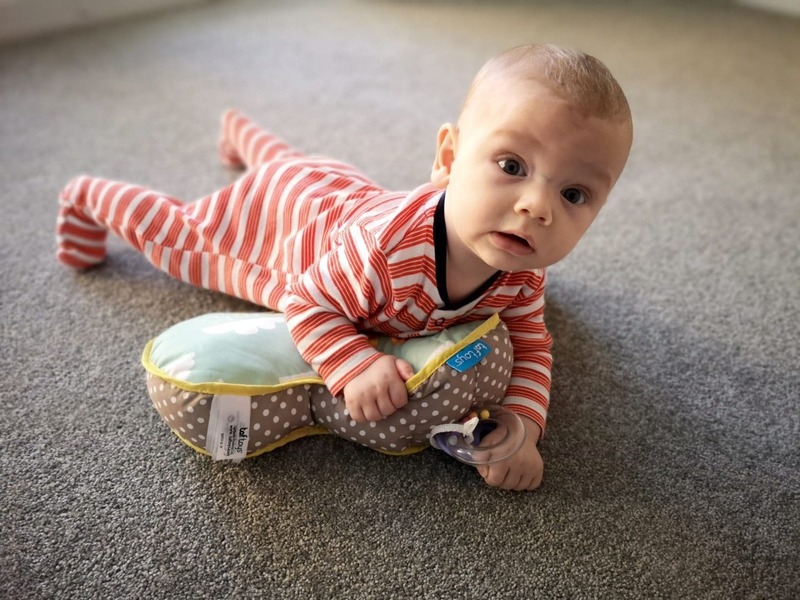 The Taf Toys Developmental Pillow has been specifically designed to help babies raise and support their own head and neck in preparation for the next steps in their development such as crawling. Hugo was rolling at an early age but he is now itching to get places and crawling will be the next step. It’s important that babies learn to lift and hold their own head and neck which can be quite a challenge. 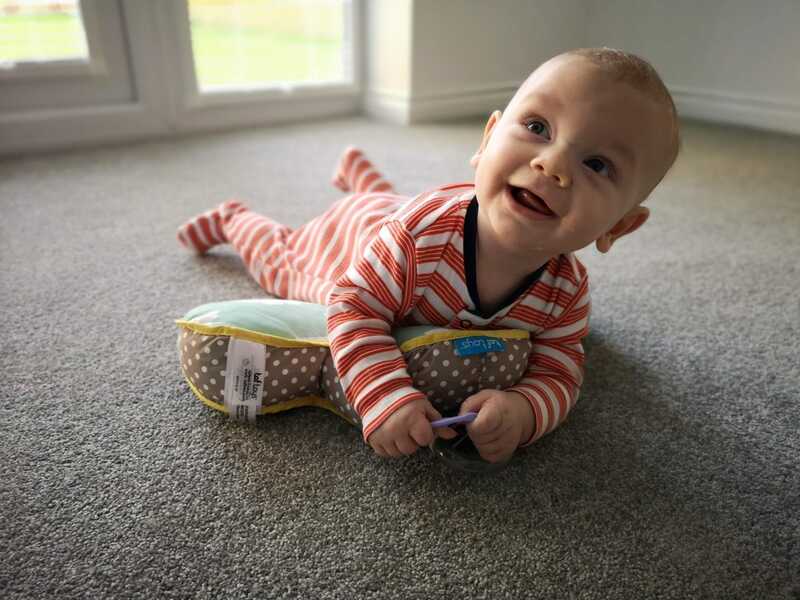 The Taf Toys Developmental Pillow has been iconic in helping Hugo practice this crucial skill. I often put him on his tummy with the pillow to support, and he will lift and practice holding himself up. The pillow makes it much more comfortable and simple and prevents him from burying his face into the floor. The bright colours and soft textures are also encouraging, and he actually enjoys using the pillow without becoming bored as he would if he was just on his front alone. 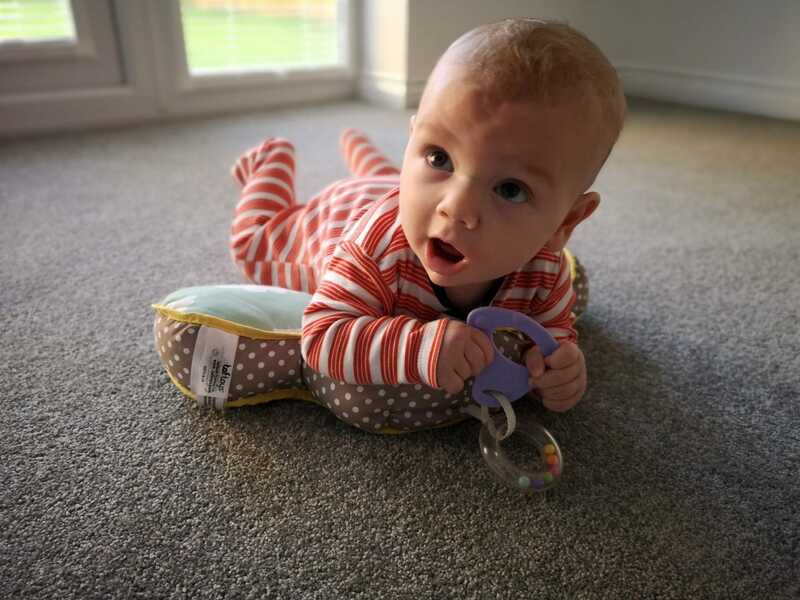 The pillow comes with a detachable teether and rattle toy which is great for encouraging him to reach out in front of him. 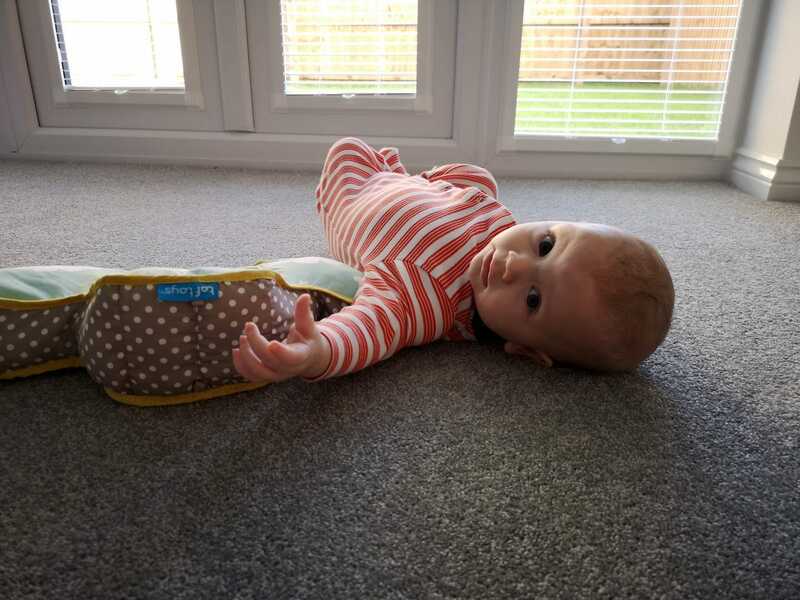 The pillow is compact and neat making it easy to move from room to room wherever your baby is comfortable, so you aren’t restricted to using it in a specific location. It’s also ideal for taking on the go and will be great whilst we are travelling over Christmas! 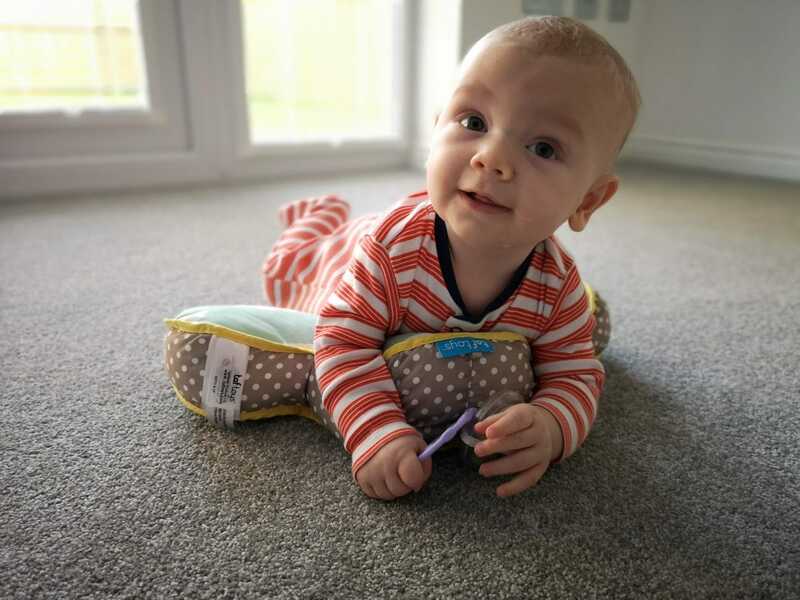 Hugo seems really comfortable on the Developmental Pillow, and he will happily stay on it playing and looking around without becoming frustrated or restless. I had previously found that if I just put him on his front for tummy time, he would get fussy quite quickly and want to roll onto his back. I like the soft fabric and bright colours they are engaging and exciting which adds to Hugo’s enjoyment. 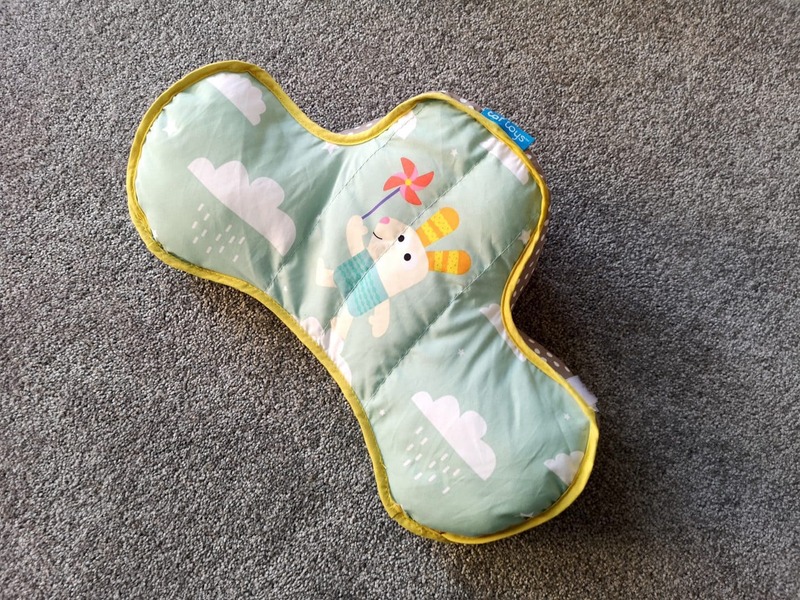 The Taf Toys Developmental Pillow costs around £16.99 If you’d like to find out more and purchase your own, then they are available from *Amazon and Boots.